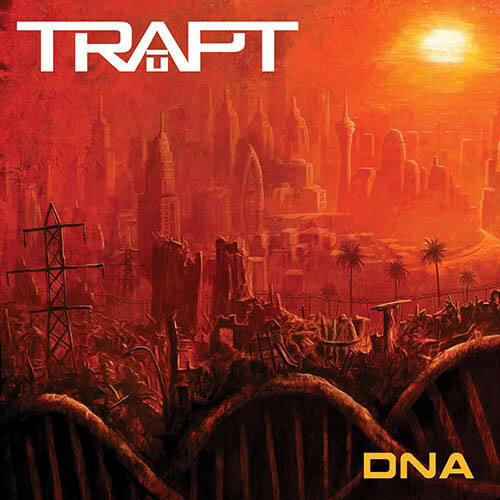 If you bought one of the millions of copies that Trapt’s eponymous sophomore album (you know, the one with “Headstrong”) sold, then DNA, the bands seventh studio effort, is a record you’re going to want to hear. Combining crunchy guitars, radio-ready hooks and frontman Chris Taylor Brown’s passionate and approachable vocals, DNA features a handful of brawlers much in the vein of the afore mentioned “Headstrong” (“Human (Like the Rest Of Us)” channels Three Days Grace as it hits like a sledgehammer, the back-to-back tandem of “Unforgiven” and “Passenger” offers striking melodies and potent hooks, the chugging opening of “Anchor” is among the albums best moments, the memorable nu-metal-esque “Castaway” is a single in waiting). Unfortunately, for as good as DNA is when the guitars churn, some of it gets lost in the shuffle when the band takes their foot off the gas (“Tangled Up In You,” “No So Different,” “Fallen Angel”). DNA is a solid rock record more often than not, making for one of Trapt’s best records in some time.